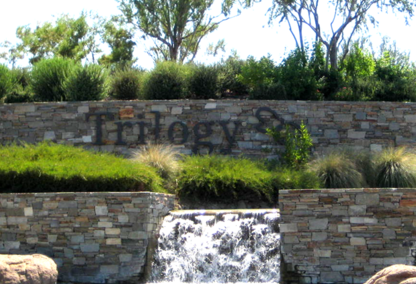 As an active adult community, Trilogy at Vistancia services active people who are looking to enrich their lifestyles. This resort-style community in Peoria, AZ features all single story homes built by Shea Homes. For Trilogy residents, they get to call the first rate athletic club, aerobics studio, indoor Olympic pool, outdoor resort pool, golf course and Spa their home. If you are looking for an active adult community in Arizona, be sure to check this out. True pride of ownership! Spritus model with Solar. Two private courtyards. Home has been freshly painted inside and out. Large open floor plan with dramatic 12' ceilings. Built in entertainment center. Stone fireplace. Plantation shutters, fans throughout. Open bar with wine cooler and osmosis system. New Kitchenaid appliances with gas cook top, dishwasher, convection microwave and wall oven. Touch faucet at sink. Halo purification system. Beautiful and rare home at Trilogy at Vistancia Peoria AZ by Shea Homes. This turn key furnished home is a speculator 3096 sq st, 3 bedroom, 3.5 bath, a Den and has voluminous great room plan, 3 patios and 3 car garages. This home provides the ultimate in living. A Spanish (Picasso design) wrought iron gate leads to a private mosaic tile front patio. Custom glass entry door (Pissaco design) opens into a rotunda with 17 ft high coffered ceiling. Check out all available homes for sale in Trilogy at Vistancia, in Peoria AZ. Use the home search below to see all available homes for sale in this active adult community. Let us know if you need any assistance in your home search; one of our local Trilogy at Vistancia Realtors would be happy to answer any home buying questions you may have. We would welcome the opportunity to assist you with your search for a new home. Thank you for visiting our site today. Here you will find the most current city homes for sale listed on the MLS. To refine your home search, click on the tab underneath to change home price criteria or bedrooms and bathrooms. You can also refine the properties criteria by listing date or property status. This will give you the most recent listings to hit the market in area. If you have any concerns, please feel free to give us a call or fill out the contact form at the bottom of the page. Our local real estate agents would be happy to facilitate in any way they can. We are here to help and make every effort to earn our customers trust by bringing local city knowledge and value. What's My Home In Trilogy at Vistancia Worth Today? Let me know what type of home you are looking for in the Trilogy at Vistancia area, and I'll be glad to answer any questions, give you a comparative home value analysis and show you any MLS property listing of interest. Contact us today! Listing information last updated on April 23rd, 2019 at 3:02am PDT.